I’ve worked with Mark Oxbrow many times in the past and have always enjoyed the process. So, when it came to his latest ebook I was delighted to work with him. This time I created the cover for his book, as well as handling the formatting of the Kindle ebook itself. I’ve become very involved with ebook formatting and now spend a lot of my time overseeing such projects. With the rise of Kindle and ebooks in general I can only see this side of my business growing. I find it fascinating and the work feels truly revolutionary and groundbreaking. It is quite enlightening getting in at the ground floor and being a part of something this big right from the start. I compare it to the early days of the internet back in the 90s, when no-one really knew how far it was going to go and where it was going to lead. We probably don’t know the full answer, even now, but I think we all have a much clearer idea. Ebooks right now are so new and fresh, it feels the same to me. The software is still in its infancy as far as I can see, and so is the hardware. So, we can expect huge developments and changes over the coming years. With Apple changing the game once again after announcing iBooks Author, the scene is set for a furious push into the future. Ebooks are going to be such a huge deal a few years from now. Mark Oxbrow’s book shows what can be done. 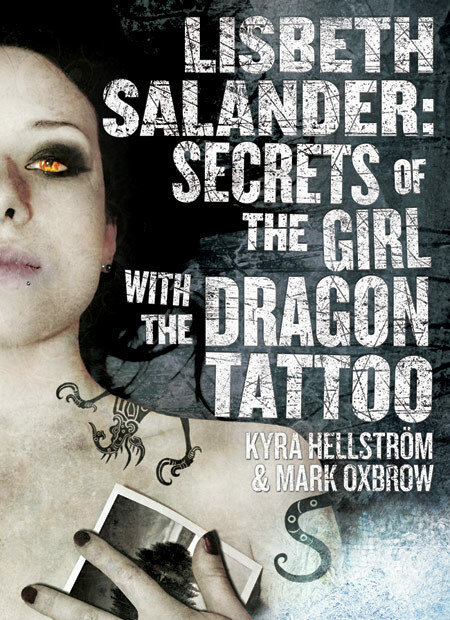 He and his coauthor had a great concept for a book; a guide to Stieg Larsson’s novel The Girl with the Dragon Tattoo. But with the Hollywood film by David Fincher suddenly upon us speed was of the essence. With Kindle ebooks it meant he could take that idea and publish it under his own imprint and have the book up for sale within days of finishing the manuscript. With the film being released this was critical. Suddenly things are possible that publishers could only dream of a decade ago. And not just publishers, now everyone has access to this technology. Some things will never change; you still need a good, compelling cover, and you need a great idea for your book to be a success. Of course, it helps if you can write too! But, you no longer need a major publisher to bless you with their patronage. Now you can get your book to market yourself.